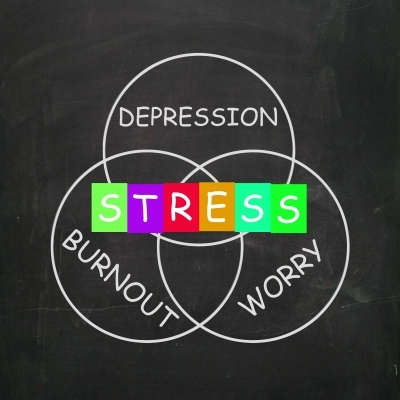 Stress plays a role in everyone’s lives. If you do not manage it properly, it can cause havoc with your health. This is where relaxation meditation can help to reduce the stress in your life. There are many types of relaxation meditation techniques. Let’s take a look at some. Start by closing your eyes. Then take a deep in breath through the nose for a 5 count. Now release with an out breath through the nose for a 5 count. Allow your diaphragm to move upward and downward with each breath. Continue for about 30 seconds to 60 seconds. Don’t you feel relaxed? This type of deep breathing is great right before bedtime or just a good way to break up a stressful day. This meditation technique is a good way to relax the whole body. By scanning your body, you can focus on areas that are feeling tense and need relaxation. Start by lying on your back and close your eyes. Begin to breathe through your nose. Allow your diaphragm to move upward and downward with each breath. Once you feel relaxed, you can start by focusing your attention on your left foot. Try to notice any sensations you may feel. Allow your breath to flow into your feet. Continue up to your calf. Notice if there is any pain or tightness. Continue breathing. Focus your breath into the areas of the body you are scanning. Move your way up through each part of your body. Your legs, hips, belly, chest, arms and head. Remember to breathe and allow any pain or stiffness to ease away. Spend about 2 minutes on each body area. Once you are done scanning your body open your eyes and just lay there for about 1 minute in stillness. Notice how your body feels. Now have a good stretch and enjoy your day. I like to do this one every morning before I get out of bed. It’s a good way to check in with the way your body is feeling. Most people hear the alarm go off and rush out of bed. This body scan puts you in a better frame of mind to start your day. Playing affirmations throughout the day and repeating them mentally to yourself is a great way to calm the mind. The great thing about affirmations is you can listen to them in the car or on the way to work. Try downloading some onto your phone and listen to them on the go. The Soul of Healing Affirmations: A-Z Guru by Deepak Chopra is one I personally listen to. By keeping these daily affirmations with your throughout the day, you can repeat them to stay calm in stressful situations. Here are some that we recommend. I hope you try some of these relaxation meditation techniques to have a calm and relaxed day. Do you use relaxation meditation to reduce stress?